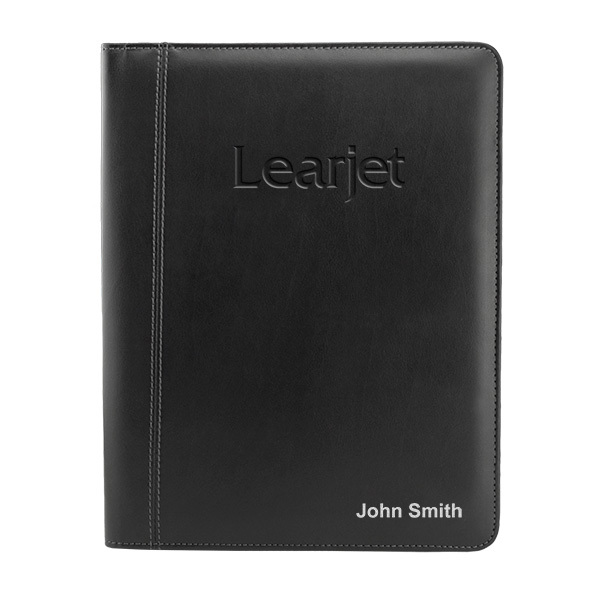 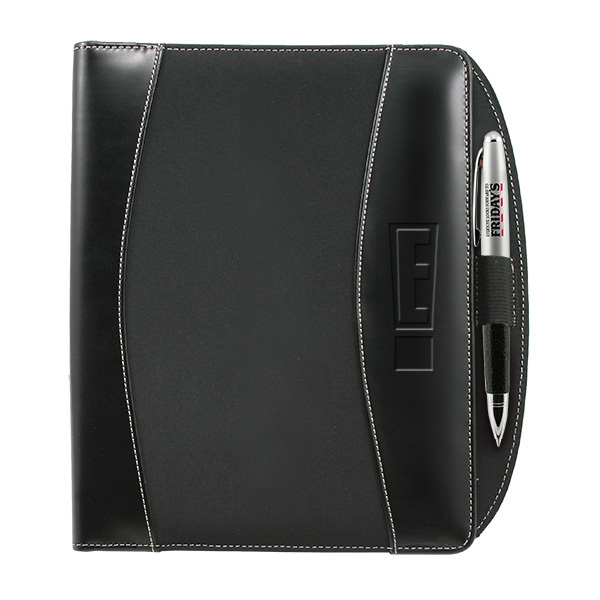 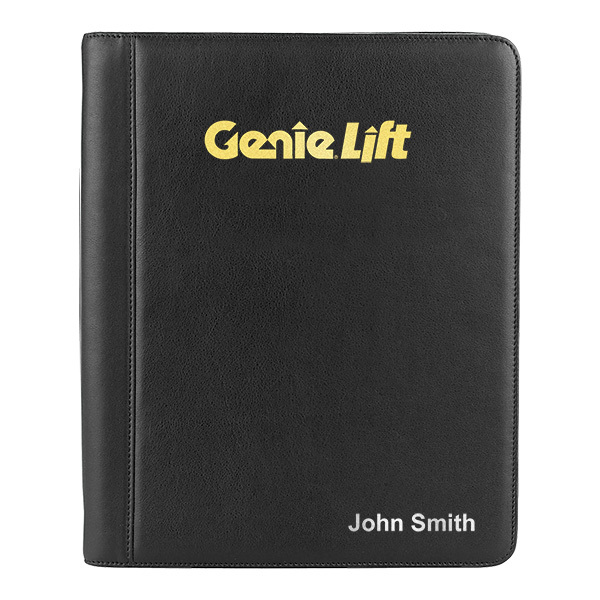 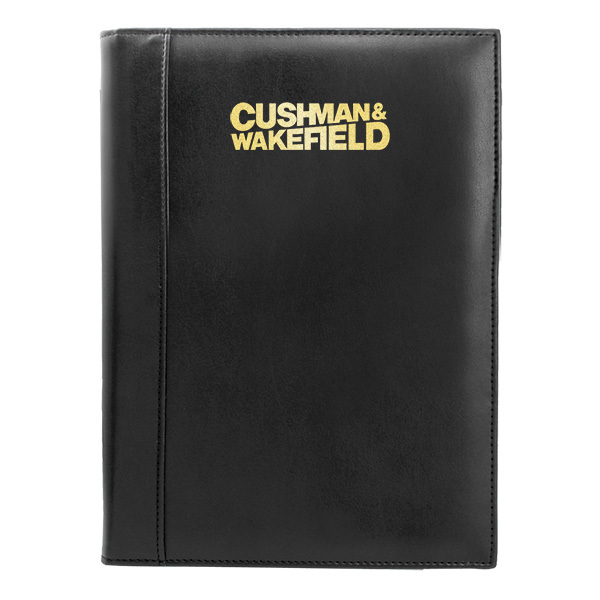 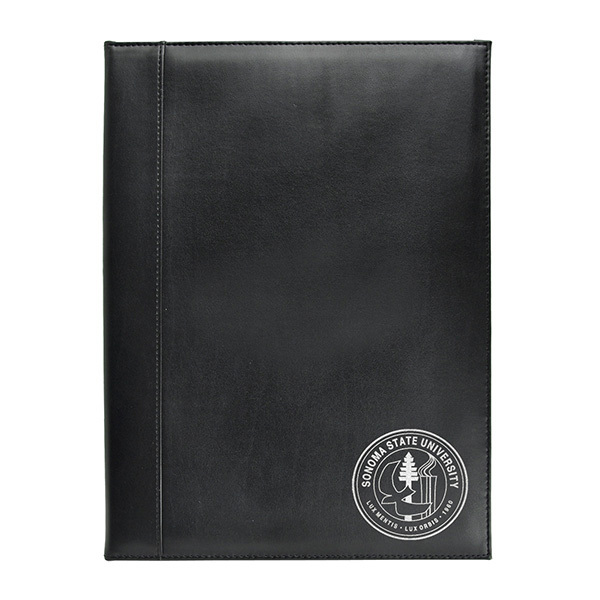 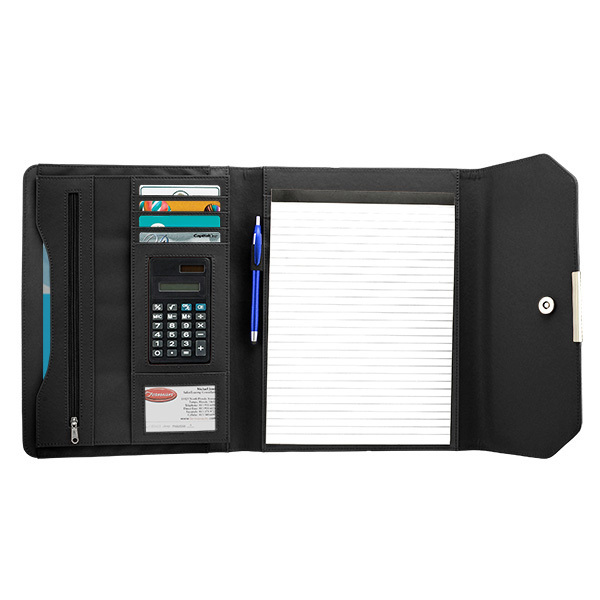 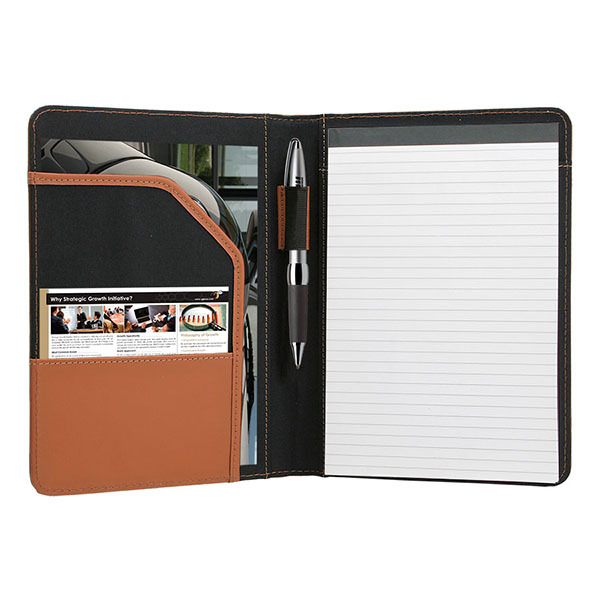 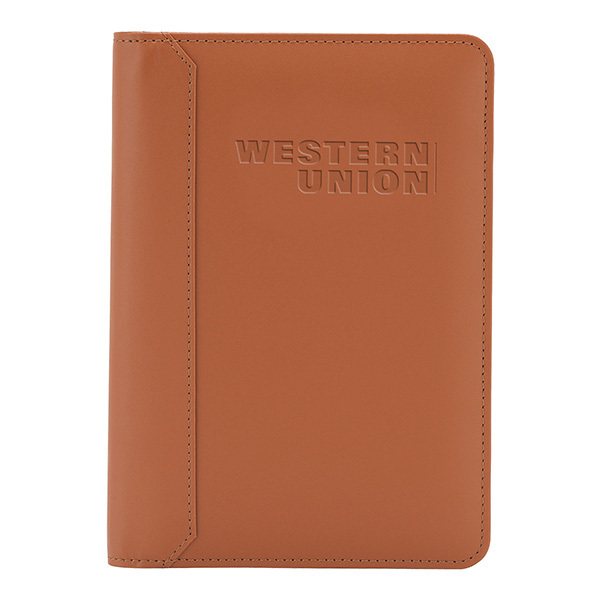 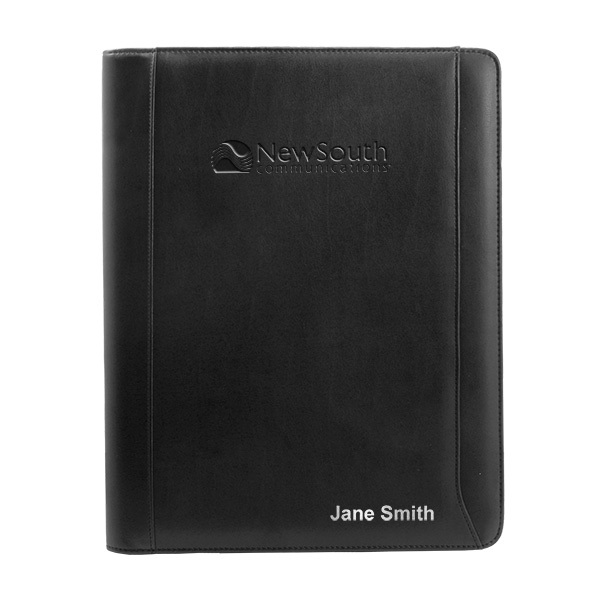 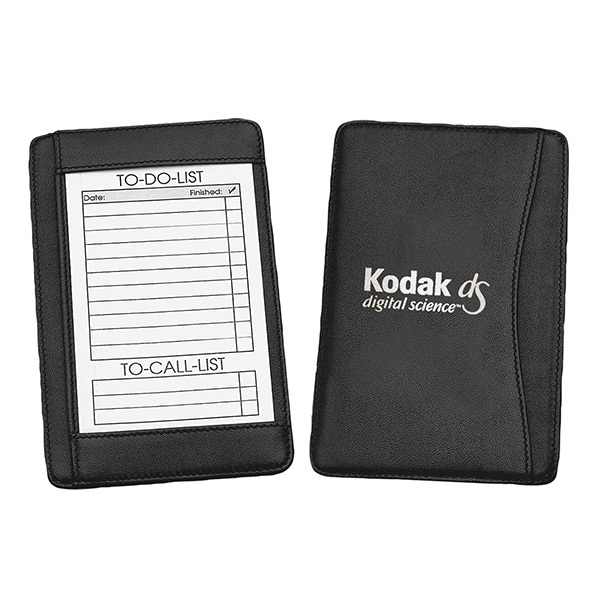 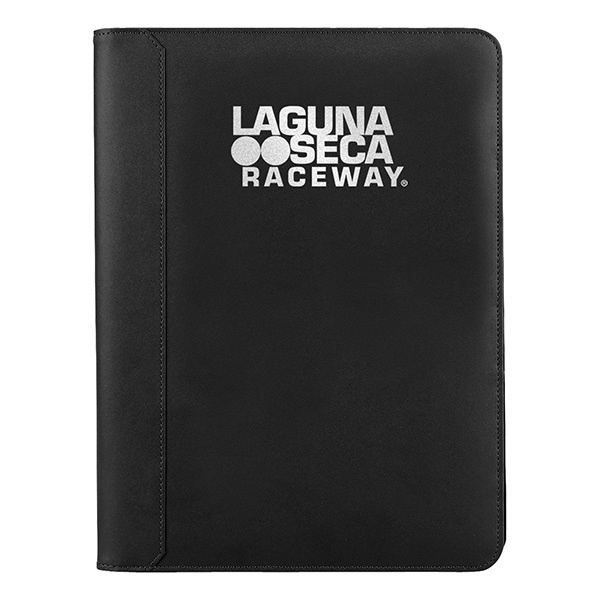 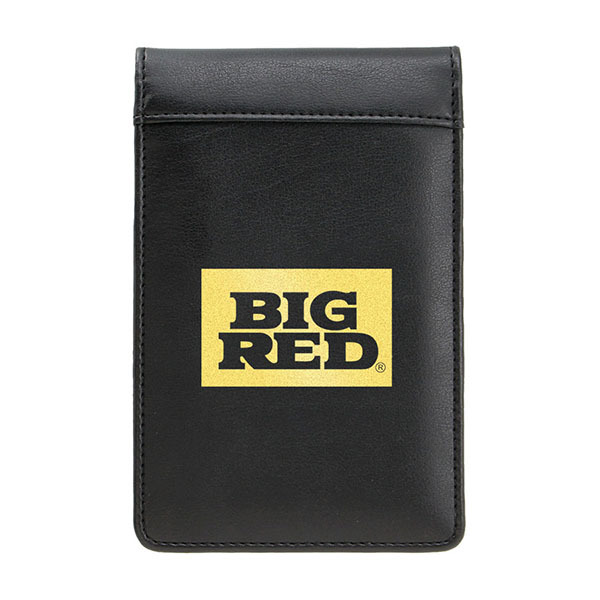 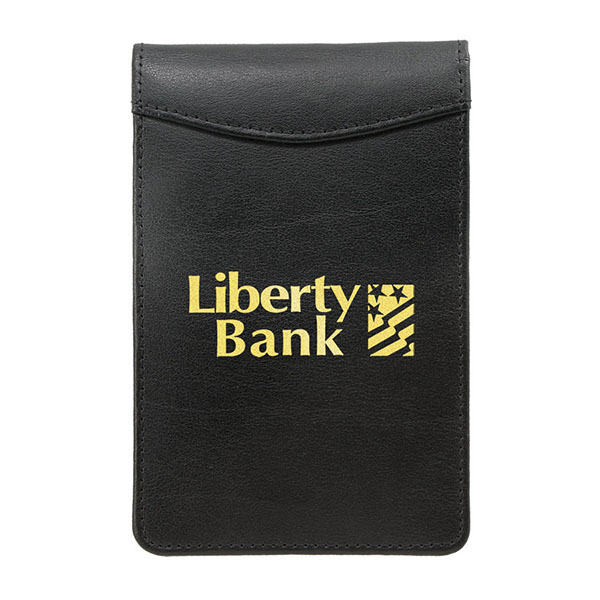 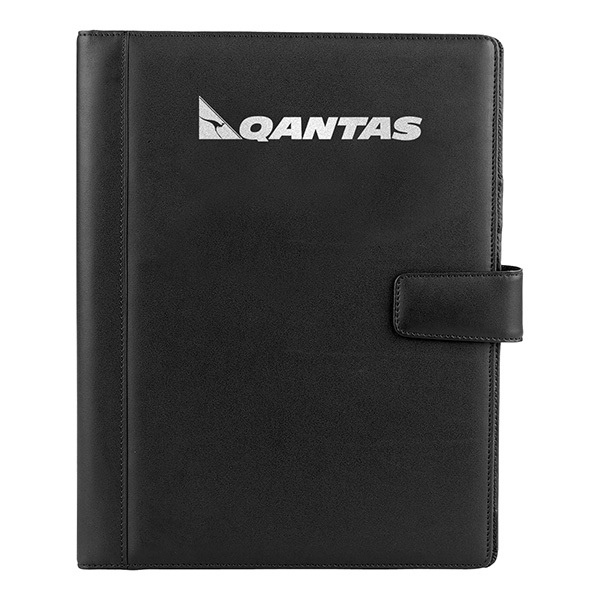 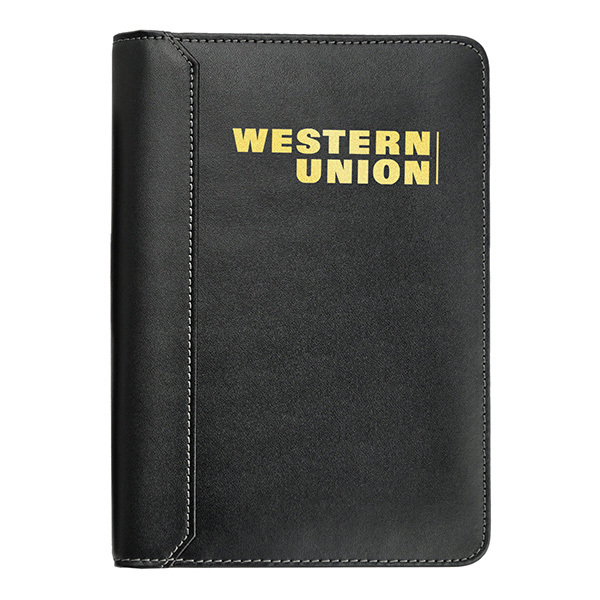 This junior Boardroom leather desk folder is a great way to prioritize your promotional efforts! 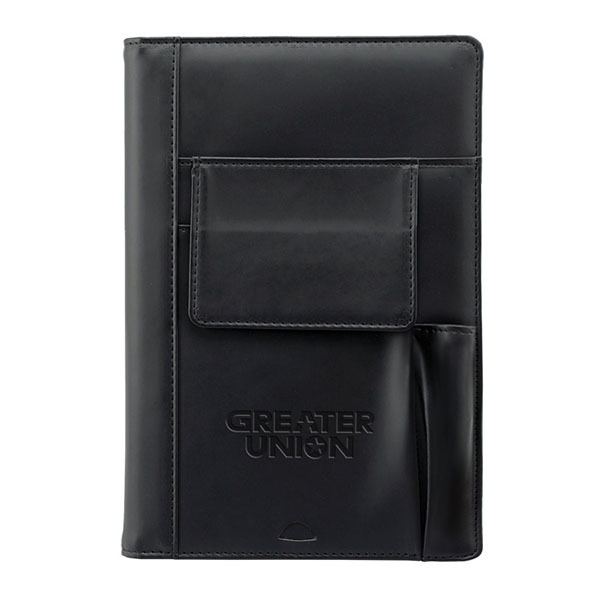 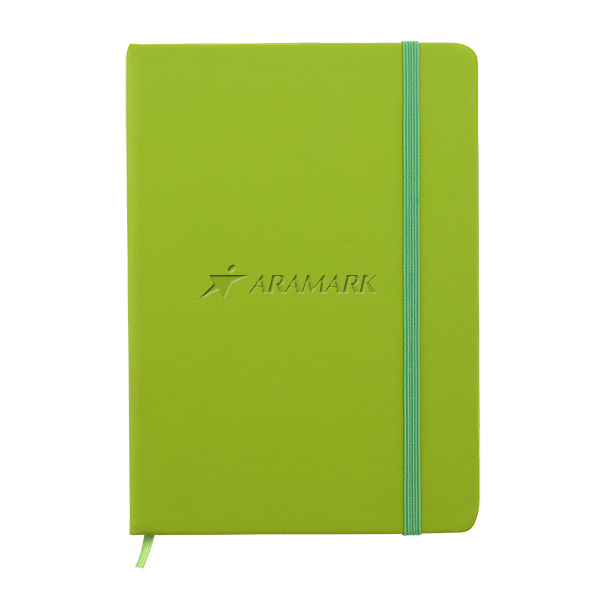 Measures 6" x 8 1/2" x 1/2" and made from Valencia bonded leather, this must-have portfolio comes equipped with a padded cover, rich microfiber lining, a file pocket, card pockets, a pen loop and a 40-page ruled writing pad. 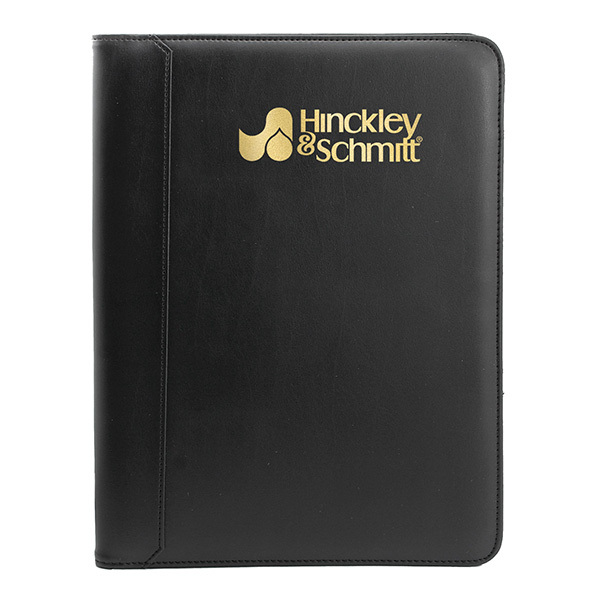 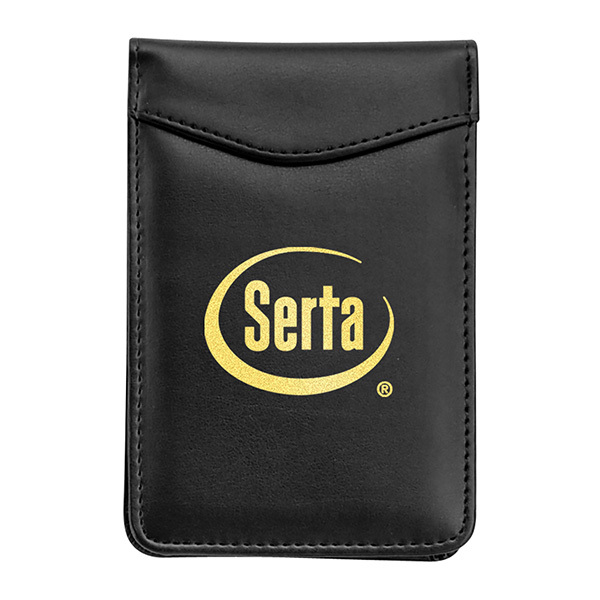 An outstanding accessory for students and professionals alike, it can be customized with an imprint of your company logo and message for increased brand visibility. 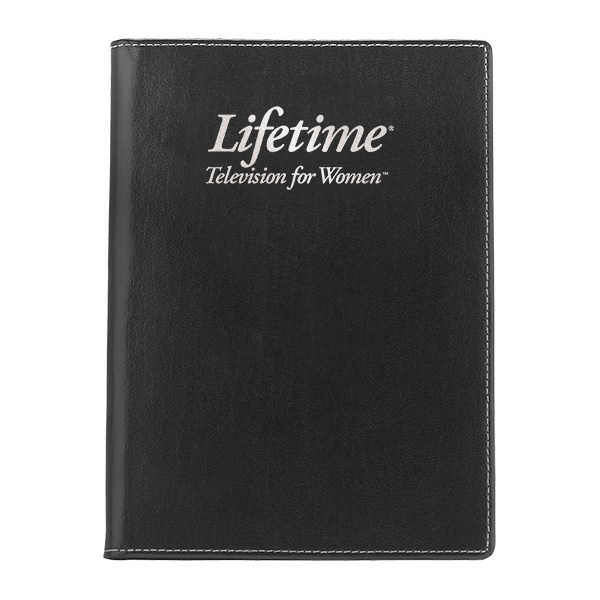 Item Size 6" x 8 1/2" x 1/2"
Case Dimensions 12" x 14" x 10"